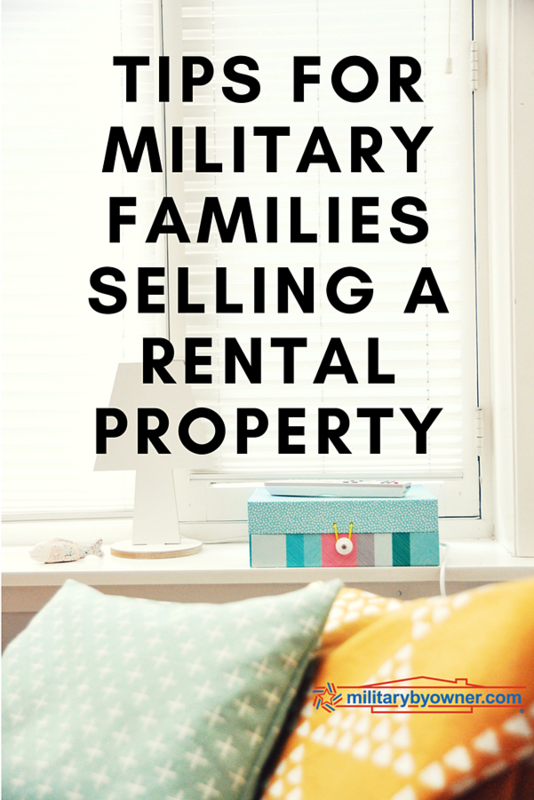 Like many military families, my husband and I chose to buy a home at one of his duty stations. When he received orders a few years later, it made sense for us to keep the house as a rental property. We lived on base at the next few stations, so his BAH covered our rent and utilities. Renting out the property was a great investment. The rent covered the mortgage payments plus repairs, so we now have more equity in our home than we did five years ago. However, the time has come to sell the house. Not only are the maintenance costs increasing as the home gets older, but we are also approaching the readjustment date for the 7-year ARM on our mortgage. If we don’t sell this year, the house will still be valuable, but it will make us much less profit. For months now, we've been dealing with rental contracts, property managers, real estate agents, and home repairs. We're selling our house from afar since we are currently stationed in another time zone. It can be complicated, but we've learned a lot. If you have a rental property you want to sell, these tips will help the process go more smoothly. Be on the market for PCS season. Once you've decided to put your house on the market, plan ahead to get peak traffic. In a military town, that will be during PCS season. This is the period when the most military families are moving to a new base and looking for homes. It's busiest during the summer since families try to move when their kids are not in school. You may not have much choice, depending on your renter’s lease, but explore your options to end the contract in spring so that your house will be on the market by summer. Start repair projects a year in advance. When you're getting a home ready to go on the market, plan for some large and small repair projects. You won’t know everything that needs to be done until the renter’s move-out inspection. However, as a homeowner, you should have an idea whether the windows leak or the appliances need to be replaced or the walls will need to be repainted. You can start many of these projects while your renters are living in the property. Spreading out large projects over the course of several months will make your repair budget easier to handle. If you choose to use an a real estate agent to sell your home, you can search for a local agent through MilitaryByOwner's business directory. If you use USAA for your banking or insurance (many military families do, because of their military-specific policies and discounts), then you may use their Real Estate Rewards Network. They will present you with two options for qualified agents in your home’s area, whom you can consult for estimates. If you choose to go with one of those agents to sell your home, then you will get cash back at closing! The amount you receive back is based on the value of your home. In our case, it was $900. We felt this was a win-win scenario. The agents they suggested were experienced, qualified, and professional. Both were familiar with military families and the challenges of selling a home from a distance. Having USAA pre-screen the agents helped us move forward quickly and gave us the confidence that we were working with recommended professionals. Budget for the property turnover. When your renter leaves or their contract ends, don't expect that your home will immediately go on the market. It will take time to reconcile their final bill. A property management company has 30 days to photograph the property and decide which repairs are the renter’s responsibility. Things like cleaning, pet damage, holes in walls, and gutter cleaning can be charged to the tenant. Other repairs based on regular wear and tear or broken appliances will be the homeowner’s responsibility. Your agent can give you advice about which repairs are the most important and will add value to the home. Before you or your agent can photograph the property and get it on the market, you want it looking its best. It may take a few weeks to get the home cleaned, painted, and landscaped so that it is ready to sell. Remember that you will also need to pay your mortgage, homeowner’s insurance, and property taxes out of pocket while your home is empty, so build up your savings account to prepare for this. Selling a home is a long and sometimes costly process, especially if it has been a rental property for a few years. If you're patient, plan ahead, and use these tips, you can sell your home no matter where you are stationed. Author Bio: Lizann Lightfoot is the Seasoned Spouse, a military wife who has been with her husband since before Boot Camp—15 years ago! Together they have been through 6 deployments and 4 different duty stations (including 1 overseas in Spain). Lizann spends her days at home wrangling their 4 young children, cooking somewhat healthy meals, writing about military life, and wondering where the family will end up next. 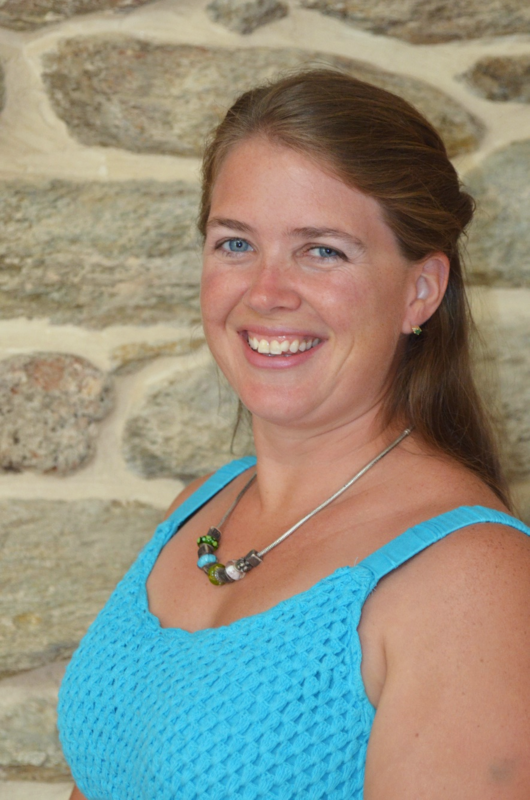 She is the author of the book Welcome to Rota, and of the Seasoned Spouse blog. Follow her on Twitter or Instagram. Find military encouragement on her Facebook page. Find inspiration for care packages, deployments, and more on her Pinterest page.